I know lots of couples who are in sync on so many levels but somehow become complete opposites when it comes to money - how they spend and save. When you find these kind of dynamics in a relationship, you also find that there are secrets and a lot of dishonesty - secret money, secret spending, etc. I've seen the frustration and how this can cause problems and resentment in a relationship. I'm generally the saver in the relationship. I can just imagine how upsetting it is to never know if you're in debt or not, and to wonder how many new accounts my partner is in the process of opening because brotha can't control himself. And to constantly do all the work of checking up on him and being so vigilant is exhausting. . If your partner is a major spender—or even a shopaholic—it is likely very difficult to deal with. In order to get through this, you and your partner need to find common ground and work together to be on the same page about spending and saving. After all, finances are a major part of any relationship, and if you are not on the same page it could spell disaster. Charles Pitt, Private Client Wealth Manager at Alexander Forbes Wealth agrees that “ household spending and budgeting is one of those responsibilities that’s best tackled together." Many couples assume their attitudes about money are aligned. Then one day, the roof needs an emergency repair that taps a savings account, or someone walks in the door with an unexpected splurge purchase (or worse yet, hides it!). “Stressful situations are not the ideal time for a couple to discover significant differences in spending habits. 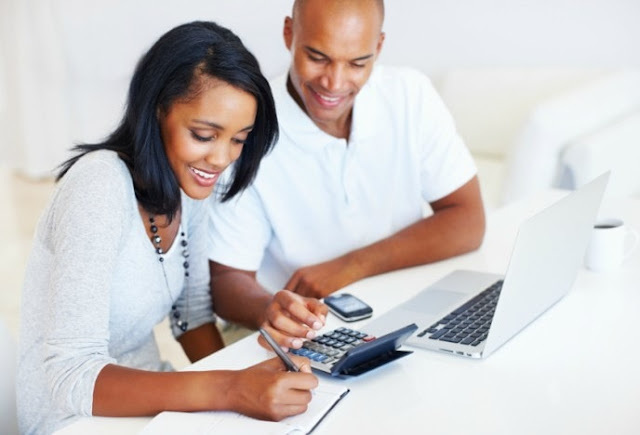 Sit down with your spouse and review your finances including your monthly budget. Find compromises that will allow you to save for the future while still enjoying your present,” Pitt said. 2. Understand the household cash flow. In many households, one spouse handles all the bill payments. This can lead to misunderstandings, and arguments, about where the money goes every month. 3. Be transparent about all assets and liabilities. Newly married couples might still have banking or credit accounts that are only in the original account holder’s name. The other spouse might not find out about these accounts until a credit card is maxed out, or a cheque account is overdrawn. 4. Agree on a budget. If one spouse is responsible for budgeting and bill paying, that person often becomes The One Who Has to Say No. No eating out this week. No weekend trip to the waterpark. No new cell phones. No new clothes. There are many online tools available to help households set and maintain a budget. Automating select bill payments and regular contributions to retirement and savings accounts can also help to clarify your monthly budgeting picture. Have you have to deal with a spending partner? How did you resolve it?